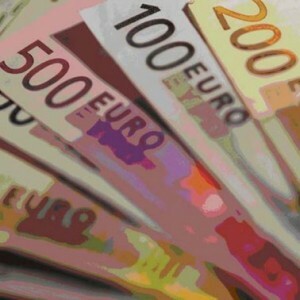 Why Is the Euro Plummeting? The Euro is plummeting in value because of the ongoing fiscal problems in Greece and the recent downgrade of Portugal’s sovereign credit, correct? Well, these are the most recent developments, but the problems go much deeper than that. Although the very nature of short term mentality in a heavily dominated short term trading environment would point to these problems within Greece and Portugal as the primary reasons for the problems with the Euro, let’s work a little harder and navigate a little deeper. Why is the market breaking down today? A number of analysts are pointing to comments by corporate titans, Wilbur Ross, George Soros, and bank analyst Mike Mayo. What did Ross, Soros, and Mayo have to say? With all due respect, these corporate titans do not offer any new news. That said, let’s navigate. 1. Wilbur Ross sees a pending crash in commercial real estate. Really? Is this news? This story has been touted for the last 6 months. The banking system has well over a hundred billion in impending losses on commercial real estate. In a Bloomberg interview as I write, Carl Icahn concurs with Ross’ assessment. Icahn can’t understand why REITS are currently as highly valued as they are. 2. George Soros also harps on the pending doom on the commercial real estate market. 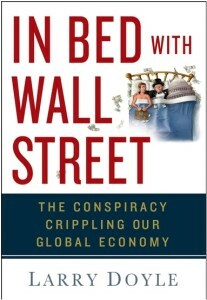 Additionally, he highlighted the fact that the American consumer can not and will not be the engine for global growth. 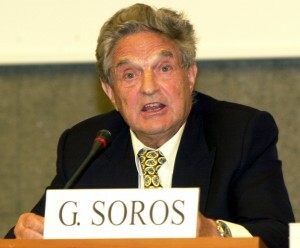 Soros offered that the economy may slip back into recession. Really? Is this news? George, please tell us something we don’t know. 3. Mike Mayo, highly regarded banking analyst, highlights that Citigroup may very well have $10 billion in unrealized losses yet to take. That’s all? Really? I think Mayo is likely low by a significant margin. Recall that the IMF projects global banking losses to total $3.4 trillion and that approximately just slightly more than half of those have been taken to date. 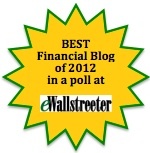 Another $1.7 trillion in losses and Citigroup has only got $10 billion to recognize? The fact is the overall economy remains mired somewhere between intensive care and critical condition despite what the wizards in Washington would have us believe. I am no fan of George Soros. I often believe he does not draw a hard line between his political interests and his business interests. His active support with MoveOn.org has made a mockery of any attempt to achieve campaign finance reform. That said, for those involved in global finance, whether you like George Soros or not, you need to know what he is thinking. Why? George Soros can move markets via his own investment strategies. Additionally, there is little doubt that George is the epicenter in a massive flow of market sensitive information. the change to fair-value accounting rules will keep troubled banks in business, stalling a recovery of the U.S. economy. Is this statement a self-serving offering by Soros? Who knows? Is it an attempt to further promote the U.S. as a lessened power? Perhaps. That said, there are others, myself included, who believe the relaxation of the mark-to-market, especially for outfits like Freddie Mac, Fannie Mae, and the 12 regional Federal Home Loan Banks (FHLBs) is nothing short of a charade. Did Soros’ statement have an impact on the market? Not today. The dollar has been improving of late. 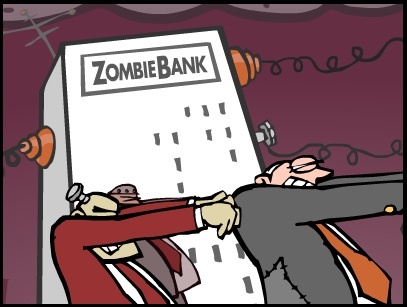 However, over the longer haul, the cost of having a number of zombie-like banking institutions will be pressure on the dollar along with increased borrowing costs for the zombie institutions or Uncle Sam who will be backing them. From a personal perspective, would you lend money to a zombie? And now, here’s a must-watch little treat. Crank up your speakers . . .